This week with Daddy being away, I've had a lot more time on my own to do nothing. And by nothing I of course mean the usual running around after the Children, cooking, cleaning, exercising, reading cookery books, coming up with meal plans, shopping, wrapping gifts, sorting out bills, dealing with the Insurance people, feeding the cats, doing the dishes, studying, playing Candy Crush... you know the usual nothing that fills my days. This week I've discovered that grated cinnamon, isn't just good for baking Cinnamon Buns but is also great for adding to Hot Chocolate. I was sent a Cinnamon Grater from Cinnamon Hill and despite some initial problems with one of my neighbours forgetting they'd taken it in for me I am so pleased it was sent for me to review! I discovered that I shouldn't eat Cinnamon Buns whilst reading through the Daylesford Sampler Cookbook (that was sent to me by Harper Collins), as the book contains Recipes and Notes for Cooking and Eating Well as I won't pay attention to what I'm eating and eat too much and I figure if the sampler is anything to go by, the full book (£30) is something which a lot of foodies will be happy to have in their Stocking this Christmas. 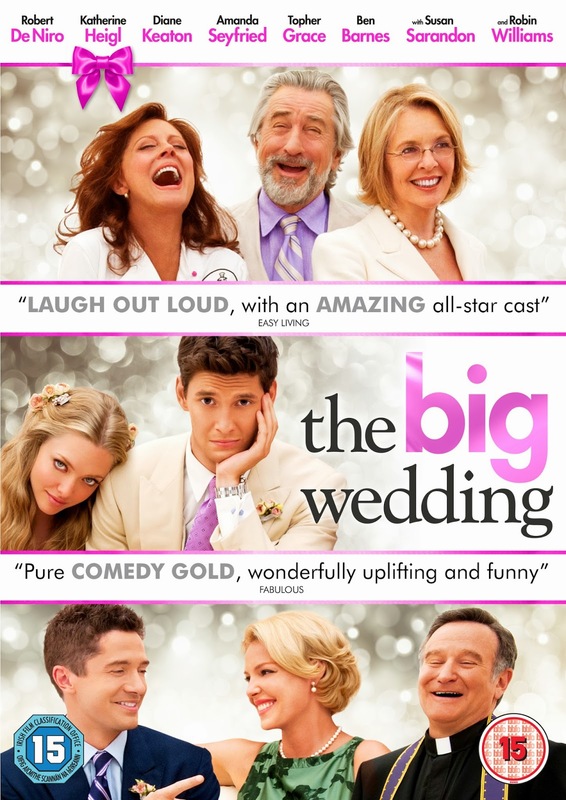 I went to bed early one night and finally got to watch The Big Wedding on DVD. I didn't really appreciate some of the language, but the film was a nice little film to watch in bed whilst eating erm fruit. No, it was pumpkin seeds. I mean a selection of nuts. Oh, it was Chocolate. Again, this is a good film for a Stocking filler for those who love a good romcom. I also discovered that Breakfast Cereal makes a great dinner, especially if the meal you've made for the Children wasn't as big as you were expecting and just enough to serve two instead of three as you had hoped. 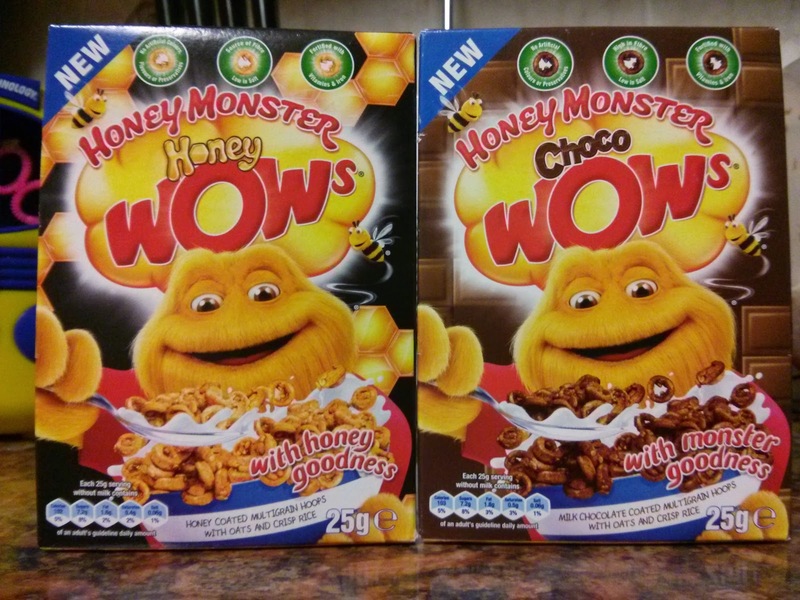 Luckily the new Honey Monster Wow's were in the cupboard looking all tasty and ended up in my bowl before my stomach. 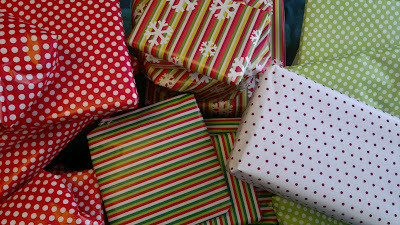 I'm not sure if the children will get a look in on the other two mini boxes that are still in the cupboard. 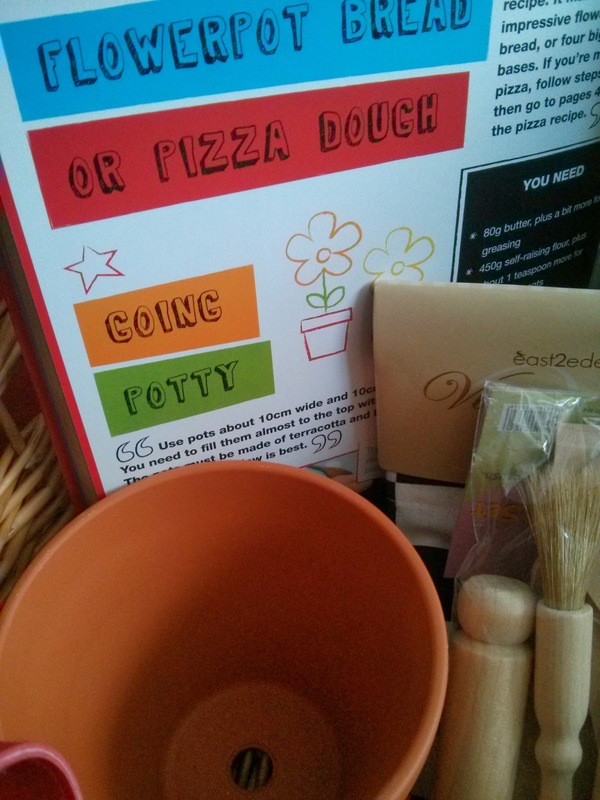 Thanks to the Kids Only Cookbook, I discovered that as long as you tell the children that they are making bread in flower pots, that they will go nuts and make really lovely bread for you to have for breakfast, lunch and with dinner and I also discovered that you can make bread in flower pots! I also discovered that my Son, is a Lego building genius who has been entering the Shell and Lego driving challenge and that if I ever need a stunt driver that he's my man. So what have you discovered this week? 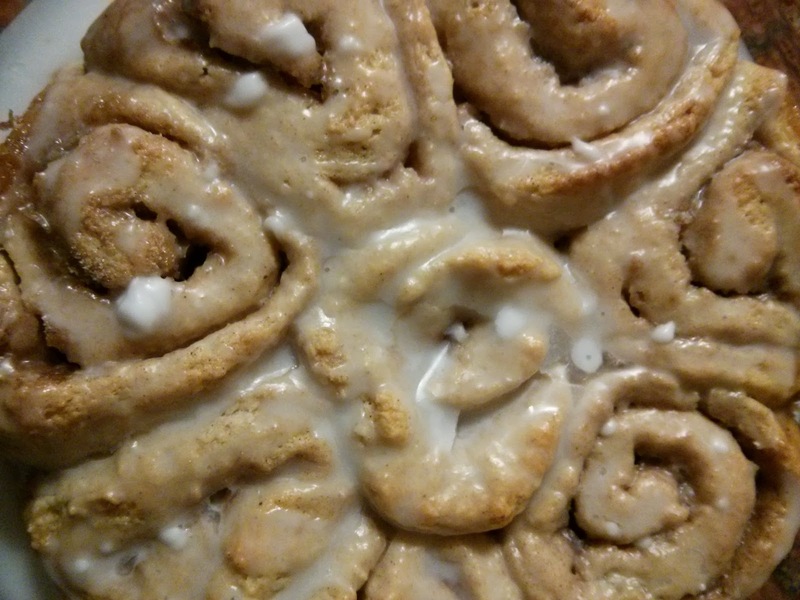 Everything I've mentioned from the Cinnamon onwards has been sent for me to review. Nope, this isn't some cheesy post about Sonia and the 1993 Eurovision song "Better The Devil You Know", but a real problem, following on from the problem I spoke about last week. There are several schools in Milton Keynes that I could send Big Boy to. I've looked at all their websites, I've spoken to friends who have children around the same age as Big Boy and Top Ender, I've spoken to teachers I know, I've spoken to teaching assistants, I've contacted people I used to work with who's other halves work in education, I've spoken to friends, I've spoken to friends of friends and of course I've read the OFSTED reports. I had to make a hard choice to start with. I've had to decide if both my children will move to a new School or just Big Boy. It was decided that if I could find a School that was suitable for both my children, that would give the support to Big Boy and allow him to flourish the same way that it would allow Top Ender to then of course I would move them both. However, Top Ender is good where she is and so if I could only find a School that would benefit Big Boy then it would only be Big Boy that moves. With this in mind, I narrowed it down to three Schools, two of them a bit of a drive away, one of them a bit of a longer walk than we currently take but three Schools that seem to me to be the ones most suitable for my children. I've been to see them all but none of them have stood out to me as being *The* School that I want to send Big Boy to. I found a School that would have suited Top Ender perfectly but really I don't think that moving her from her current School for what would be a year and a half before she moved to senior school is a wise move, especially when the teaching staff at the School I currently send my children too is really really good and the School again wouldn't give Big Boy what I think is what he needs. For me Home Schooling isn't an option. I am in no way a suitable teacher for my children in a schooling sense, we're much happier doing our little projects with no time constraints and me teaching them bits here and there and reinforcing what they are taught in School. Well, it leaves me in exactly the same position that I explained the other day. I'm making what feels like a pusillanimous decision and keeping Big Boy at the school that he's currently at. This isn't an easy choice, it's one that's taken me days to mull over. I've spoken again to my friends and to my family, to the children and I've got down on my knees and prayed and prayed and prayed and prayed. Still, I'm not sure if this is the right choice, if this is what is best for us, but for now it's a case of better the devil we know. My Granddad always seemed to be exasperated by me and my finger nails. It wasn't that I picked at them, or chewed on them, it wasn't even that I spent hours using them to scratch myself. No, instead my finger nails were always full of dirt. Even now as I sit here typing a quick glance at my fingernails shows that I have three finger nails full of dirt. I honestly don't know how they do it, just five minutes ago I washed my hands and my nails were clean. I must be a dirt magnet. Now other than looking nasty the problem that I have with having dirty fingernails all the time is that when I take photographs of products that I'm reviewing I have to either clean them before I take the photographs (I do this at least twenty times a day anyway) or take the photograph in such a way that you can't see my filthy nails. I'm like a contortionist for some photographs. These are my latest contortionist photographs. 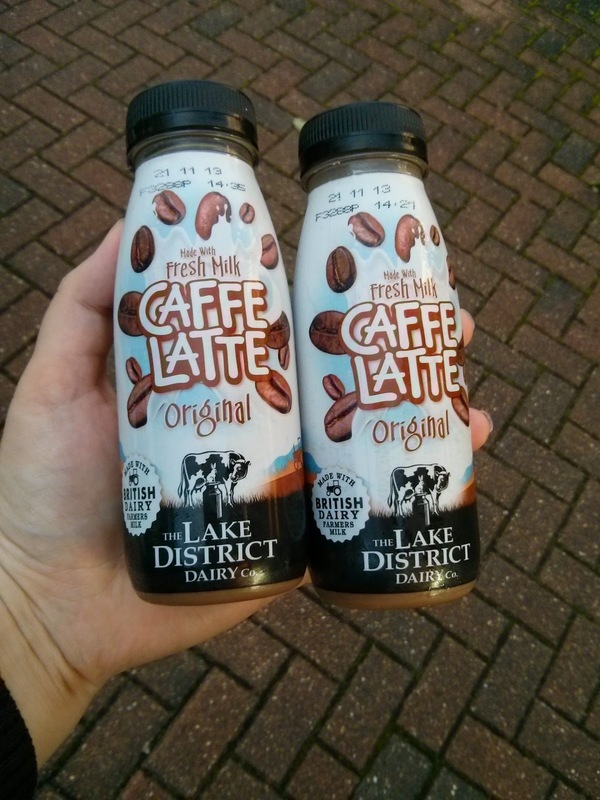 I didn't drink the Lake District Dairy Fresh Milk Caffe Lattes, as you guys know I'm LDS, so I don't drink coffee. My Mum and Sister however aren't LDS and so I gave them to my Mum to drink with my Sister whilst they wrapped a small mountain of gifts for my Sisters children which my Mum is handily storing in her bedroom for Santa. In the end my Mum may have forgotten to give one to my Sister as when I asked her about them (My Sister) she had no clue what I was going on about. My Mum however said they were quite nice, they wouldn't be her go to drink but she could see how they would appeal to those who like milky coffee drinks and are looking for a cold alternative. My Mum didn't think that they were very strong, but I cant't comment about that I asked her to guess the price, a good way of finding out how much she'd expect to pay for them and she guessed around the £1.30 mark so wasn't too far off what I saw them in the Supermarket for. 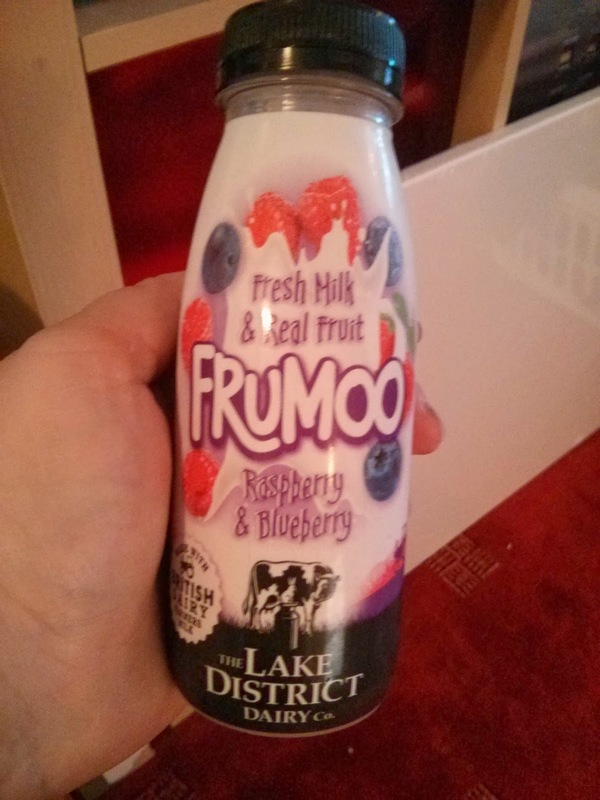 I did however drink the Fresh Milk & Real Fruit FruMoo which was Raspberry and Blueberry flavoured. It was nice, it was refreshing and it is something which I'd choose out of the chiller cabinets if I was looking for something other than a fizzy drink. We were sent the drinks to review. When I was on TV the other night (I am never going to get tired of saying that) there were several things that I said that didn't make the show and several things that were said that I think need to be reiterated because these little things make a huge difference to how warm you may be this winter and how high your energy bills might be too. A rather dramatic title for this blog post, but you know it's how I feel today. Today I dropped Daddy off at the local Train Station. He's gone to work which is normal for a Monday morning, but today instead of coming back home at the end of the day he'll be staying in a hotel. Instead of coming back home tomorrow, or the day after, or even the day after, it won't be until the day after that that he'll come home. Seriously I'm okay with it. I've said so many times in the past that when we have to do something hard for the benefit of our family, that we have to do it. It means if it's living away from home for most of the week or having to give up something that we feel is important then we do it. We do it for the good of our family. This morning, when I took Daddy to the train station and I saw him leave the ticket office, walking to the platform I cried. I cried because other than a few nights here and there and a trip to Chile in 2009, Daddy and I haven't been apart since we got married. I know I'm putting a brave face on it and I've got other things to worry about, the Children for example. I've already told the children that with Daddy not here we'll be fine, that this week will be a bit of an adventure, we'll be able to do things we couldn't do when he was coming home each night. We'll be able to pop out to the local play centre without having to worry about getting back in time, we'll be able to eat together as a family each night (rather than Daddy and I eating after the Children), we'll be able to go and visit our family and countless other things. The truth is I think that only this week will be the adventure. Yes, I'll get the bed to myself each night, the children will use Skype to talk to their Dad, I'll talk to him via email and Skype and Twitter and we'll use those to talk to each other whilst we watch TV together from our different week day homes too. Next month will be December, and Christmas is a special time of year for us as a family, just like it is for many families. We do so many things together, that I don't think the children will realise that they are missing their Daddy before he is back on Christmas Eve. And then it'll be a habit. And we won't realise that this is our new normal, to us it'll just be the way we live now. This week sees the start of Daddy not eating with us Monday through Friday, or even staying here at night Monday through Thursday (he should be home late every Friday night) and so despite my initial plan of living on microwave meals so I didn't have to do the dishes (it was a good idea right?!) here is this weeks meal plan. There is no roast this week! Daddy has to go to work this afternoon and will be out from before lunch until almost the children's bedtime. The children and I will grab some kind of sandwich at lunch and as we have a munch and mingle after Church we won't eat at home. Daddy might, but it'll be something simple. I'm not sure if giving Top Ender garlic bread before sending her off to Brownies is wise move (not because Brownies are allergic to Garlic, but garlic breath isn't appertising!) but as you might have seen from my tweets, instagram account and facebook I have a Morphy Richards Soup Maker and it is FANTASTIC. I've adapted the Tomato Soup recipe that the maker comes with, so I'll post it up in my review which will be live this coming week, if however you see the Morphy Richards Soup Maker and you're a fan of soup I really do recommend you buy it. I figured a simple meal like Bullseye Egg tonight, would be good as it's quick and cheap and leaves us all plenty of time to finish off our Christmas window preparation. I got it wrong last week, when I said Choir was on a Thursday. It's on a Wednesday and the only reason I didn't wait on the freezing cold playground all evening was because Playground Geek Mum reminded me as we picked up our youngest children. The Children are having Sausage Pie whilst I'm having a Higgidy Pie tonight and we're having veg too. Depending on how the children and feeling we'll either have egg, hashbrowns, a sausage and beans for dinner or cereal or pancakes. What ever it is that we're having it'll be tasty! I thought that this week we'd go for battered fish and oven wedges as our fish dish. We haven't had fish and chips for what seems like ages and I want to see if I've still got my batter making skills! Plus ages ago Playground Geek Mum told me about a dish that the chippies in the South did and I want to try it out! So that's us for this week. What is your favourite economy priced midweek meal? 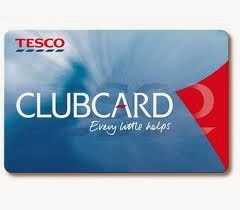 Whilst we were in Tesco's, doing the weekly shop I noticed that someone had dropped their Clubcard, as they had left the checkouts. I suggested to Top Ender that she should pick it up and return it to the customer Service Desk. Top Ender did this, and handing it over to the lady manning the lottery counter (the Customer Service Desk was busy) said she had found this persons card. The lady behind the counter read the name on the card out loud, and it just happened to be the next person in the queues card. The chap was really grateful that Top Ender had taken the time to return his card, and he reached into his wallet to reward her. Top Ender declined the monetary reward, but he offered it again and again she declined. Finally after three attempts of offering it to her, he understood that she didn't want a reward, she was just happy that the card had been returned to the owner. Top Ender said if he really felt that he should give a reward that he should consider donating the money to Charity pointing at the Diabetes UK collection tin on the Tesco counter and smiled at him as she turned to catch back up with her Gran and me. As we walked out the store, Top Ender asked why the man had tried to insist that she have a reward. To nine year old Top Ender, just doing the right thing was the reward and she didn't really understand why the man felt he had to reward her. And this is what has been bothering me over the last few days. When did doing good become something that people did because they would get a reward? When did doing good for good's sake stop? Combined with Top Ender making her Brownie Promise earlier this week, and promising to do one good deed a day I thought that I should make a stand and I'm doing that here and now and I'd rather like you all to join me. I vow that I'm going to do daily good for good's sake. I'm not doing it because I want to be recognised as someone that does good, I don't want to do it because I think that it will make me a good person, I'm not doing it because it's about time that we took control of the world again and made it a better place. A place where if a wallet or clubcard is dropped or a pet goes missing we don't expect a reward for getting it safely back to the right owner. I want to live in the sort of world, where a stranger would do something good just because they can. Who's with me? I have a little problem and I'd rather like it if you could help me to work out the answer. Big Boy is currently five years old and in year one of School. Big Boy is just like any other boy apart from he has an auto-immune disease which means that he needs a little more care at times. 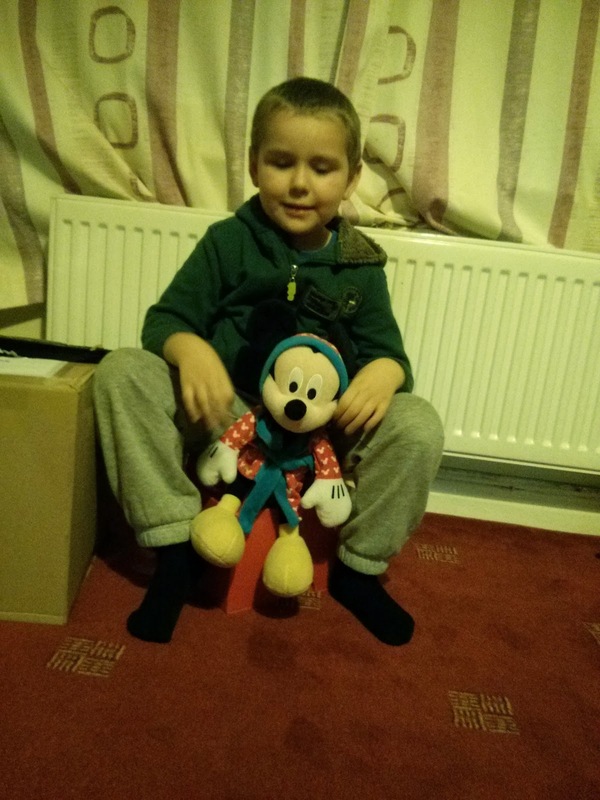 You see in July 2012, just two months before Big Boy was due to start School, he was diagnosed as being a Type 1 Diabetic. I'm sure many of you remember my Tweets and Facebook status updates that day, and on several days since where I quote odd numbers or mention having to get up in the night to either give Big Boy food or an injection, or even ask you to remember a number for me. Those first two months were a huge learning curve for us. We learnt a lot, despite having been the daughter to a diabetic for around 30 years (I still am a Diabetics Daughter!) I didn't know huge swathes of information about this auto-immune disease. When Big Boy started School, I was scared. Not just scared of him starting School like any "normal" parent, but scared for him with regards to his Diabetes. I mean he was 4 years old and really in the grand scheme of things only just diagnosed as being a Diabetic and although he knew that made him different and he was great at realising when he was having a hypo (low blood sugar) he was still only 4. The School were fantastic. There were volunteers who agreed to do blood tests on Big Boy, to give him his injection of insulin at lunch and in the future if needed, one at snack time too. It was another learning curve for both me, Big Boy and the volunteers. The team were small but supportive, and it took a bit of trial and error to get everything in place that meant that Big Boy had the communication between home and school to ensure that Big Boy was safe and everything was passed between us but it happened. Then something happened and I don't know what, because despite asking I can't be told. The two volunteers were no longer able to do Big Boys injections and only one of them would carry on doing his blood tests. Yes, I was angry at the timing, which to me seemed too coincidental, yes I was angry at the lack of communication and the feeling that I and my concerns over Big Boys safety were being ignored but you know what? It's fine. I don't need to know the how or the why, I have my suspicions but to be honest at this stage I just don't care, as this blog post will hopefully point out. The issue now is that I need to find a way forward and so what has gone on before just doesn't feature on my radar. So just to make it 100% clear when Big Boy was moving into year one there was nobody at School who could do his injections. As a short term temporary measure it was agreed that I would go into School to do Big Boy's injections at lunch. It was to be short term, because a person had volunteered and would be taking over as soon as they had their training, they've since retracted their offer but it's okay I think I know why. Now, of course that I know that isn't going to happen the short term temporary measure is now the only way forward. And here comes the problem part, the am I being selfish part. As I go into School at lunch time to do a blood test and administer Big Boy's injection I can't be far away from the School. Really, I need to get them to do a test mid morning and depending on his blood sugars I would need to either be called to run in and do an injection or he could just get on with his day, so that would mean I'd have to stay at home all morning as my house is a five minute walk from School. At the moment we're just doing the test mid-morning if Big Boy thinks he needs it. 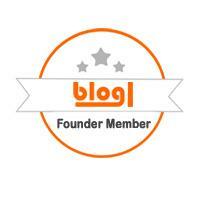 This means, I can't go to blogging events. Not really a biggie, but you know this is sort of my job and going to some of these events is something that I want to do. I recently had to turn down a holiday, a cookery session with a Chef I rather admire, a day finding out some really rather interesting facts about something I'd have loved to have learnt more about and a dozen other things. I also had to turn down paid work, a rather nice amount for a few days work that would have been handy, what with it being Winter and fuel bills expected to rise. I can't go to friends houses or to those of my family. Some of my friends live further away from the School than I do and my family are about 20 minute drive away. If I were at their home it would make getting to School to give Big Boy his injection rather harder. And seeing as I tend to walk rather than drive it would also mean I'd need to learn how to run so as to make it in time. I can't take my Mum to her hospital appointments, so it falls upon my sister. You know the one with five children and a day job. I can't work. I had a job lined up for this September, nothing big or fancy, just a few hours doing something that would lead to something else and hopefully give me the career I've wanted. Something I couldn't step out in the middle of. I managed to persuade the people giving me the job, to put it on hold until January and they agreed. Apparently I'm worth waiting for. Yet, if nobody is able to take over doing Big Boy's injections then I can't take the job again and even if I was worth waiting four months for, I'm pretty sure I'm not worth waiting four years for (9 years old is when Big Boy should have the motor skills and strength to inject himself it could of course be sooner but who knows). Not taking the job, means less money. Less money means no petrol (hence the walking thing), less new things, less getting out of debt, less everything really. Of course none of that matters. What matters is Big Boy. Big Boy sometimes cries when I leave him at lunchtime, or begs me to take him home. It's soon forgotten but is me going into School everyday helping him? It doesn't help me to think of Big Boy being upset when I leave him. Big Boy is looked at as being different by his peers. None, of the other children's mums come in everyday. If I continue being the one to do his injections then it'll have to be managed more tightly, I could be going in three times a day to give him an injection. Did your Mum come to school three times a day to do something for you? Big Boy isn't able to be as independent as the other children. Every trip out of School, I have to be there to administer his injection, to do his blood test, to be the responsible adult for him. I'm his Mum, so of course I don't mind this, but did your Mum go on every School trip? This could all be over in the New Year when Big Boy gets a pump, then again new issues could arise. If Big Boy decides he doesn't like the pump we'll be back to this situation. If being on the pump doesn't agree with Big Boy we'll be back to this situation. Back to me going to School everyday, sometimes three times a day to make sure that like the rest of his peer group he is in positive health and able to take part in all activities and able to be a good student. Of course with Big Boy being on the pump it doesn't mean the end of injections, or the end of having to deal with needle type things. The pump could fail and he might need an "emergency" injection of insulin. The Pump could have a blockage in the cannula, or a kink that means he isn't getting the correct dose and he'll need an "emergency" injection of insulin to bring his sugar level down. Big Boy will need to have his pump removed when he does PE, and reattached to the cannula when he has finished PE. The cannula could work it's way out of Big Boy and need to be reinserted. All of those reasons will mean even when Big Boy is on a pump, that he'll still need me on standby. Just in case I'm needed, just in case he needs an injection, just in case he needs a cannula to be reinserted. And then on top of this there is my other worry. I'm the only one that is local, the only one available during the day to do Big Boy's injections or sort out his cannula. What happens if one day, I'm driving to School from a friends, or my my families home or back from the Supermarket and I have a car accident? Who'd help Big Boy then? What if I have to go to an appointment and I'm running late getting to School? Who'd help Big Boy then? What if I have an appointment that I can't cancel or rearrange, that I know will clash with Big Boy's injection time? Do I have to keep Big Boy off School for the day? Will I get fined for keeping him off School? So there you go. What do I do? Do I change BB's school to one where the staff have already volunteered to do injections on another child, and would happily add Big Boy to their roster? Do I carry on with going into School to do his injections? Is there a third option that I haven't thought of? I've got an admission to make, and for anyone who has read A Mother's Ramblings for at least a year this may come as a shock. I've only *just* started my Christmas shopping. I mean technically that isn't true, I have brought a few little things here and there (they've mainly been eaten) and there are some bits that I can't talk about because Top Ender likes to read the blog (just to see what I've been saying about her!) and so I don't want to spoil any surprises but the main part? The part that we adopted from Jen's Tradition of having five gifts? I'm only one gift in for everyone. Today. In the last five minutes or so. What about you, have you started your shopping yet? Make me feel better please! I normally love Christmas Shopping, to me it's the start of a great season. I love that we celebrate the birth of Jesus and I'm rather fond of Christmas music, food, films and TV Specials, but this year part of the problem is that I can't get to the Shopping Centre to buy gifts very easily. Since going back to Church, Sunday shopping is out. Saturday shopping is hard unless I want to take the whole family with me and I can't spend hours looking for the perfect gift Monday through Friday as I need to be at BB's School at lunch time to give him his shot of Insulin. What's a girl to do? It's simple really, She goes shopping online! Rakuten Play.com were really lovely and gave me some of their Superpoints to spend (They are basically points that you earn when you do shopping through them) and said I could buy what I wanted. So I went looking. Were you aware that Rakuten's Play.com offered more than just CD's and Games now? Daddy said he did know, but the last time I brought something on Rakuten's play was back in 2006, when I ordered a box set of The Italian Job. As Rakuten's Play.com is now a Marketplace for lots of other Merchants you can get more than just CD's and games and DVD's. It was lucky for me that they do sell more than just CD's and Games, as whilst Daddy wanted a CD for Christmas (Pete Tong Collection) and Big Boy wanted a game for Christmas (Wonderbook: Walking With Dinosaurs for the PS3) Top Ender has had her eye on the Nerf Rebelle Heartbreaker Bow and I'm a book fan when it comes down to it (Yes, I buy my own gifts. Daddy has enough on his plate to worry about and I do the Christmas Shopping budget.) and I like the odd fitness product too! I was worried a little about safety. I don't know about you, but I prefer to know who I'm buying from and as the site has a variety of Merchants I was pleased to see that not only are there some big names in the Marketplace, but with feedback about each seller easily available and the Shop With Confidence promise I knew that if I did get into bother that I could sort out with the Merchant Rakuten's Play.com would be there to help me too. With the free delivery on all my chosen gifts due from the various Merchants in the next week I had better start working out what our wrapping paper scheme is this year. I was given SuperPoints to spend on the Rakuten's play.com website. Top Ender made her Brownie Promise tonight. She remembered her promise brilliantly, recited the Brownie Law perfectly and has now got a tonne of badges for me to sew on to her sash. I'm pretty sure that the weatherman said it was going to be cold this week, so this is why the meal plan is as warming as it is! I got a new toy to play with yesterday, it's a soup maker from Morphy Richards and I'm going to be doing a review of the appliance followed by a Google+ Hangout during late November. If you follow me on Twitter, Facebook or Instagram you may have seen the pictures that I was putting up. Let me just say that for now I think my new toy is my favourite winter accessory and I can see it doing great things this winter! Top Ender has Brownies this evening, so something quick, warm and filling is needed for her and Big Boy. I've gone with Fish Fingers as I have some in the freezer and carrot mash as I love adding carrot to mash potato for a bit of colour and variety. Plus it's a great way of "sneaking" an additional vegetable into the Children's meal. I love mixing Sweetcorn and Peas together because of the colour mix. A colourful plate is a plate full of veg! When Daddy gets home (and we're home from Brownies) I'll bake some Trout fillets in the oven with tomato paste and have the same vegetables (minus the sweetcorn for Daddy). I'm really loving Gammon at the moment, I'm not sure what the something is going to be but it'll be nice I know! I'm thinking that I make might Pie Night a permanent feature in our house. Tonight I'll be eating the British stilton and Sussex Ale Higgidy Pie and the Twitter chat will be something about quick meals for school/work nights. Does pie and soup count?! BB has decided that he'd rather have Toad in the Hole, so that's what he'll have. Our second fish dish of the week will be Tuna Pasta, it's easy to make so I'll get Top Ender to make it when she is back from Choir. We'll throw in some veg and a little pesto or tomato paste to make it a bit saucy! Last week when we went for dinner with Playground Geek Mum and her daughters, she lent me her Russian and Polish cookbook and saw this recipe, the only thing that I'm not going to add is the vodka that flavours these Russian meatballs! In the book, the dish is served with Rice, but I thought that the children would like Polish Potato cakes. So that's our week. What dishes do you cook for your family that are always popular? I love my children, I really do. I know that you all know that, but sometimes I need to remind myself of that... normally after I follow top Ender into the Bathroom. 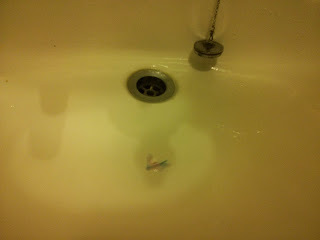 This was the bathroom sink this morning after Top Ender had been in there to brush her teeth. Don't get me wrong, I LOVE that Top's brushes her teeth and I love that she uses her mouthwash too, but honestly I would really LOVE if Tops could rinse the sink out too. We've had an ongoing argument in our house about teeth brushing. Ever since Big Boy had to have teeth removed, I've maintained that neither of my children brush their teeth properly and that they need to really improve how they are brushing or suffer the fate of fillings or losing more teeth. Recently I brought a packet of disclosing tablets, so that I could show the children exactly what they are missing when they brush their teeth. Randomly after they have brushed their teeth in the morning I will declare "TOOTH INSPECTION!" and then the children will take one of the disclosing tablets and chew for a bit before we see just where they should have brushed. 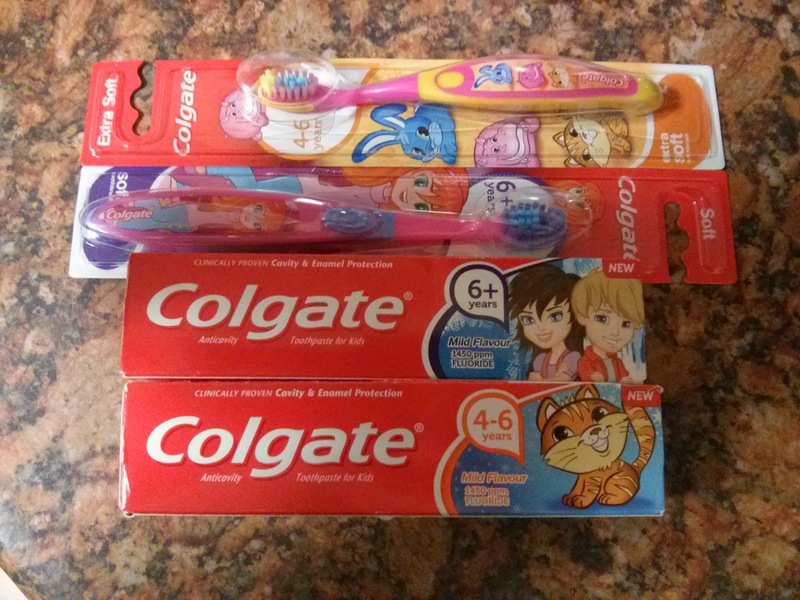 Colgate heard about my struggle and sent the children a little package of goodies from the Colgate Kids range to help them in the bathroom with their brushing. That was nice of them right? So what are my tips for getting children to brush their teeth more thoroughly? 1) Let the Child pick their toothbrush. If they like the brush they are more likely to use it right? 2) Take Turns. Every so often brush your child's teeth for them. Let them feel what it's like so they can aim for it too. Do it down at their level too. 3) Brush your teeth too, let them see how you do it. Just don't frighten them and take yours out! 4) Use a Timer. Two minutes is a longer time than you think when brushing your teeth! 5) Try Disclosing tablets, then not only will your child see where they should be brushing but you will too! 6) Create a reward system, yes I know, but a sticker chart goes a long way to family harmony! What other tips would you include? Hello everyone! I'm hoping that someone is reading this, or else I sound really stupid talking to myself. Here is what we are doing for our Evening Meals this week and only some of them will be accompanied by Um Bongo, which is the children's favourite "special" drink at the moment thanks to a free pack we were sent. As I mentioned last night, tonight Daddy and I are on a date night. 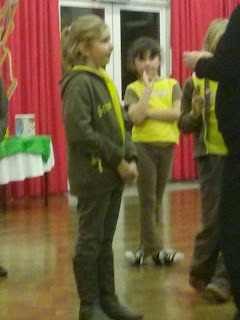 Top Ender is away on Brownies Camp and Big Boy will be in bed... hopefully. We're not sure what we're going to eat and you won't see us on our Social Media for a couple of hours but once we're done I'll share everything in a blog post. The Missionaries are coming round this evening for a meal and after thinking long and hard about what to serve we decided they should get a roast too. We were going to go all out, but then I stopped and thought how as young men they must just be starving and what's better than a Sunday Roast to fill you up? I've been challenged by Princes to make some tasty evening meals in under 20 minutes using the new Princes Corned Beef Flavours. I could make a Shepherd's Pie, I could make some kind of Pasta Dish, but tonight I'm making two dishes. The first is a Soup for Daddy and I (technically it'll take more than twenty minutes to cook but you'll forgive me I'm sure) made from the Corned Beef and Chilli and then for the Children I'm going to make Corned Beef Hash with Poached Eggs for the children using the Corned Beef with Onion. This will leave the Corned Beef with Mustard for sandwiches at some point this week. 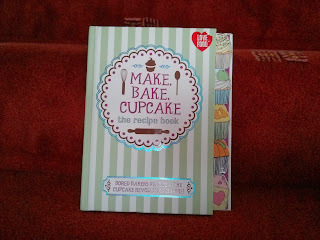 Look out for a post later this week with the recipes. We're out at a Friends house for tea tonight if they are feeling better after being poorly last week, so I don't know what the children are having. I do know that when I get home I'm having Noodles, despite having Noodles the other week and managing to spill them on my white shirt and now having a white shirt with a red bit on. If we are at home, then it'll be French Toast for dinner with Noodles for all of us. You know how last week I was supposed to have a Higgidy Pie? Well, thanks to some last minute unforeseen circumstances I'm having it this week, and joining in with the Twitter Chat this Wednesday. It's actually better for me as Daddy is away with work, so I won't feel like I'm ignoring him. We could possibly have a friend of Big Boy's round for tea tonight, which is why I've gone for a nice and simple classic meal, but one that is still fun. As Daddy is still away (he'll be back tomorrow) I'll have the same, but later once BB's friend has gone home and I've managed to wrestle the children into bed. We Love a Friday night, everything seems more... colourful. 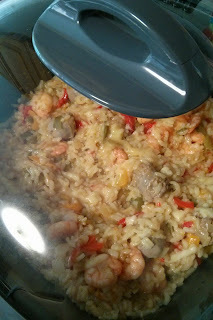 Tonight we're going to have my Paella Risotto that I made in the Morphy Richards Multicooker as it was quite lovely. 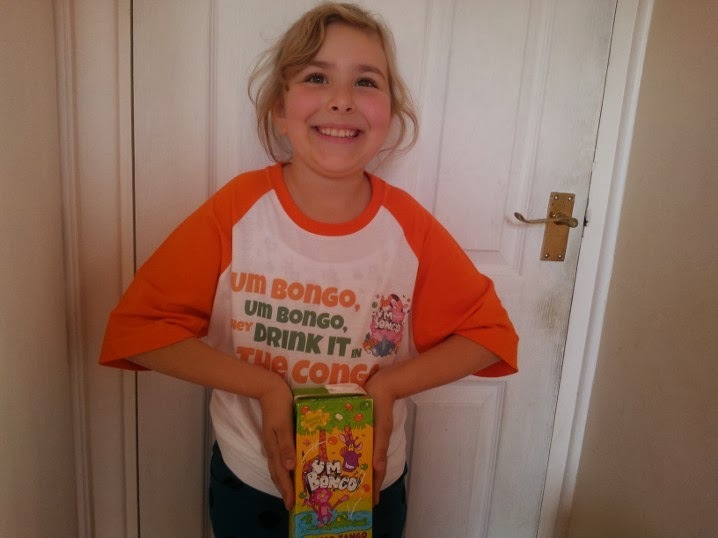 As I mentioned, we were sent the Um Bongo and a T-Shirt free. It was ages ago, but I just remembered and also our Date night is sponsored (as in paid for) by Head and Shoulders. When Daddy and I were first dating and then newly married, we made a huge effort to make sure that we had fun on all our date nights, fun that was different from the time when we weren't on a date night. Of course being in a new romance and then being newly married we did things like go out to restaurants, or go to the cinema or the theatre, we went for long romantic walks and picnics and gave each other little gifts. I can't even begin to tell you how many beautiful bunches of flowers or boxes of chocolates I got. These are the staples that most of us are brought up expecting date nights to be about, these are where we think that romance happens. When we think of movies where there are a couple on a date night, we see them feed each other over candlelight, go dancing or some other romantic thing that girls in particular seem to lap up. Watch any show on TV about a single person and the world of dating and there are the dates with gifts of flowers or chocolates. The couple meeting up at a restaurant or a bar, going to the cinema or if it's really romantic then a picnic the couple might just happen upon or being whisked away in a plane to get a burger. I'm about to break some really bad news to some of you, and for that I'm sorry but I think it's my duty to tell you the truth. These situations that we see in films and TV shows, that we read about in romance novels and some people spend hours day dreaming over? That isn't the be all and end all of romance and date nights. When we were a newly wed couple, we didn't have a lot of money and so we came up with some budget ideas for date nights and it's those simple things that we did on our date nights, the things that didn't cost a lot of money that have stuck in my mind as some of our best date nights. They continued after we had children. As we matured and grew more comfortable in ourselves, the date nights changed from Restaurant trips to cooking for each other or a take away, from a trip to the cinema to a night in front of the TV watching our favourite movie or TV show, instead of going for a romantic walk around a lake or through a forest it became a family walk. I really think that date nights are important in all relationships, but for me it's not about going out and spending a fortune on a meal that you could have cooked at home (although it is nice!) pretending that you find sharing a space with goodness knows how many other people romantic. For me date nights are a chance for my husband and I to reconnect, to look at each other in the eyes and to not have to worry about the dishes, or if we are going over budget. They are a chance for us to be romantic how ever we think is romantic without having to worry about the day to day stuff that makes up life. And so tomorrow night I'm going on a date night. It'll be in the living room of my home, our daughter will be at Brownie Camp, our son will be in bed and I'll have my best friend, my lover, my husband right beside me. Head And Shoulders have given me some Money to have a date night. Which is rather kind of them. We had Parent's Evening the other night. I took cakes for the Teachers that we were going to see (and for a couple of our favourite teachers too) as I always think they must be starving sitting there talking to all their student's parents, when normally they are eating their evening meal and marking books or creating future lesson plans. Some of my Teacher friends have said this is something they wish more parents would do, but I think that's because they're trying to get more cake. Would you ever take a snack for a Teacher? Anyway. 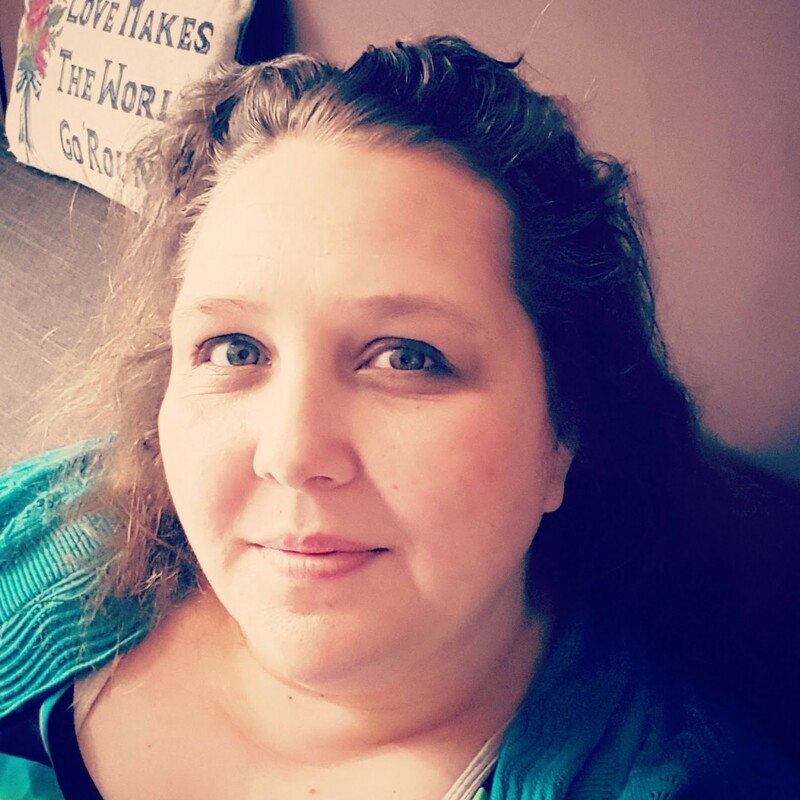 I sat there listening to the Teachers, making notes in my notebook of things that they said, things they wanted the children to focus on, areas that they have improved in, areas they naturally excel at, things that are coming up that I want to be prepared for... just like a pushy parent. I don't think of myself as a pushy parent. My friends all think I'm crazy, but I know that I could have done so much more if I hadn't of realised that I was clever enough to get away with doing the bare minimum at School. If I had studied harder, if I had applied myself more then who knows what I would have done in life? Don't get me wrong, I love my life, but I want to make sure that my children can do anything they want. Isn't that what we all want for our Children? The praise and advice given to both Top Ender and Big Boy was perfect, their teachers really know them and I can see quite clearly how much they love them and want them to do well, two qualities in Teachers which always make me feel the choice in Schooling that we've made is right. As I expected, they are both good kids. They are able to hold themselves, they know what their own strengths and weaknesses are and to be perfectly honest they have done me proud. There are of course areas that they could improve in, and as you probably all know I'm the sort of girl who encourages her children to learn at home as well as in School. I was lucky that both Teachers gave me practical advice on how I can help Top Ender and Big Boy to progress more, and so there are going to be a few changes to our routines at home, small things but things which I think will help them realise their full potential. What happens on your Parents Evenings? Are you a "pushy" parent like me or do you take a more relaxed approach? I'm interested to know and I'd also like a different phrase to use than Pushy Parent what sounds better to you? Hello! So, you might have ended up here after seeing me on ITV's Tonight programme talking about ways to make yourself and your home a little warmer without turning up the heating, or you might be one of the many people who already know me, or you might even have found your way here by accident... whatever it was that brought you here, Welcome! I talked a little, (well actually I'm not sure how much I talked because I didn't edit the piece I did to camera but I'm guessing) about how to make a Draught Excluder, and I believe that you even got to see me make one, but just in case you missed how to make my cheats cheap draught excluder then here it is again in picture form! 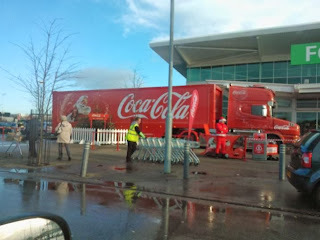 One of my very best Christmas moments was back in 2011 when driving past the Asda store in Milton Keynes I SAW THE COCA-COLA HOLIDAYS ARE COMING TRUCK! 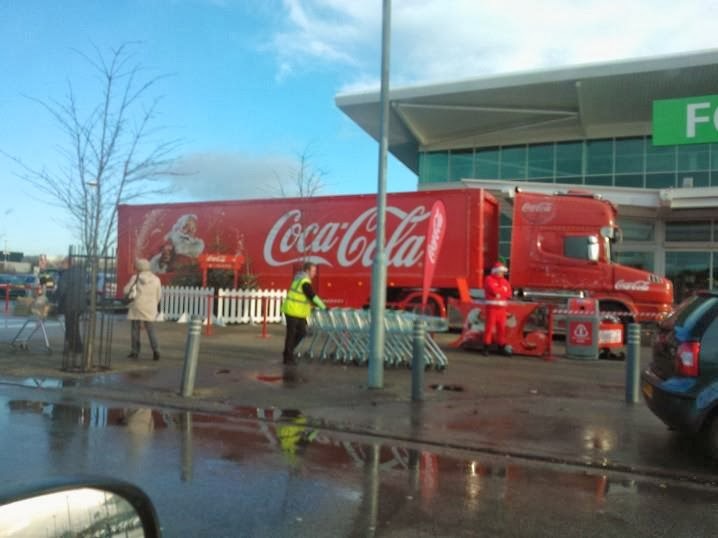 I get so excited about the Coca-Cola advert each Christmas, it is to me the best Christmas advert and because I'm so excited, Coca-Cola knew that I couldn't wait a minute longer to see my favourite Christmas advert and so sent me a teaser which I'm sharing with you all too. I AM SO EXCITED! Roll on the 9th November so I can watch the full thing! 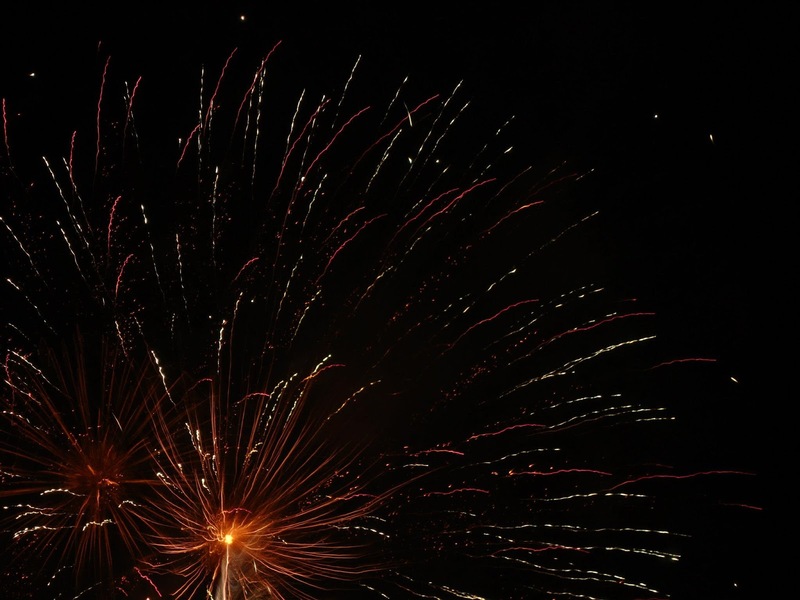 I love Fireworks Night. 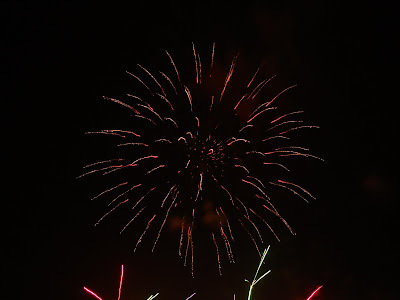 As a child I remember the day being full of excitement because we'd have fireworks in the back garden and we delighted in trying to work out if this would be the year that our Dad set fire to the fence with the Catherine Wheel. From memory that only happened once, but there was definite scorching every year. 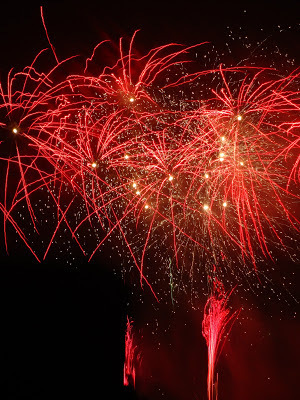 For us the BIG night was always the Saturday night before, when a local School had a Fireworks display. I swear that we went every year, but looking back on it and from conversations I've had with my Mum we only went three or four times. When Daddy and I started dating, he took me to the local Funfair which comes to Milton Keynes each November and has a Firework display on the Sunday closest to Bonfire night. It was a great tradition, but with the display being so popular and one of my children not being that good at waiting for prolonged amounts of time in the cold we didn't go this year. There was, until a new housing development was built, always a display at Bletchley Park. This display always made me proud to be British, proud of the men and women who worked at the park in secret and I always thought that having Fireworks there sort of honoured them. 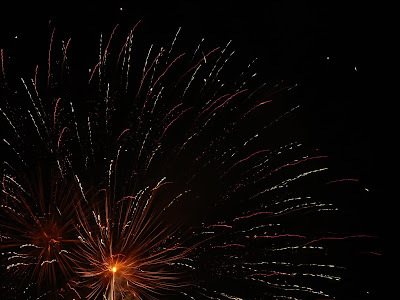 I've always loved being out in the car at this time of year, there is always a family somewhere having fireworks out in their garden and I love spotting them as we speed along the roads. 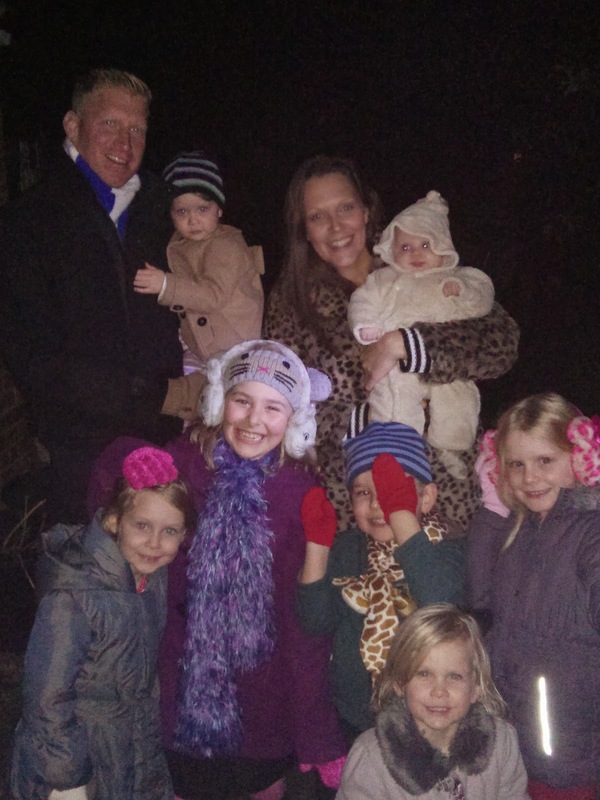 Even now the children and I will purposely go and stand out in the street to watch a particularly good Firework display from some local club. And now we have fun at home, my Sister and her family come over and we eat Hot Dogs (or soup) together, and have fun as a family. The screams of delight as a firework catches in the tree at the end of our garden, or crashes and explodes in next doors lawn (Sorry about that!) or even actually makes it to the sky to explode in a flash of coloured light are shared between the generations of my family and I love it. 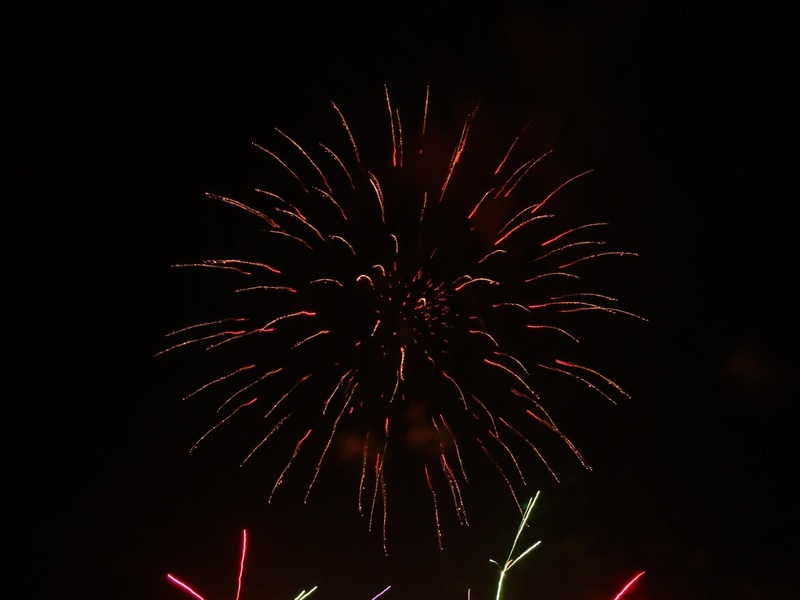 Imagine my Mum holding a light, Daddy standing in the dark lighting a firework and Me taking the picture and you have us all here in this picture! So tonight whilst your're watching the Fireworks, have a safe and fun family time okay? What a week it's been! I've been having a ball with the Children this past week, I love when the Children are on half term. Big Boy has loved waking up and asking "Is today a School day?" and getting the reply "No", but I think Monday may come as a shock to him. Anyway, here are this weeks meal plans made entirely from things in my freezer and kitchen cupboard! Yes, yes, yes. I know it's not Sunday, but we're busy tomorrow so we're having it today. When we had Shepherd's Pie the week before last I had enough to make two, so I did. I put one into the freezer (And I forgot to line the dish, so it had to stay in the dish in the freezer) for a later date and that later date is today. I'm a fan of Risotto, and even though the family aren't I hope the more they eat it the more they will get used to it and eventually they will like it. Tonight we're having a Higgidy Pie as I'm taking part in the Higgidy Pie Club! Join us on Twitter tonight to talk about favourite weekend suppers on cold nights... it should be on the hashtag #PieNight, but I'll let you know if it changes! 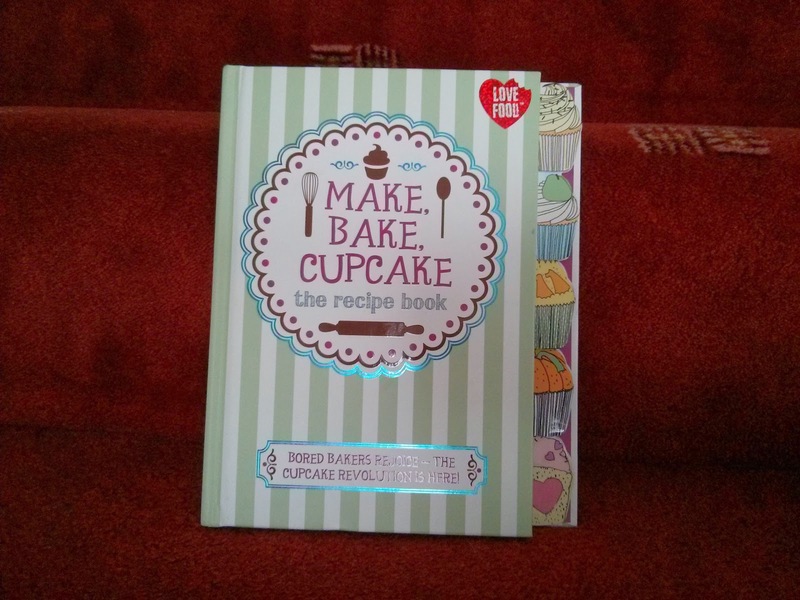 As the pie isn't gluten free, Daddy will have something similar but from his GF Range! I'm hankering after some Chinese but as I'm sticking to a budget this week I won't be buying any and have decided that instead I'll make some. We really enjoyed the gammon we had the other week, so I've brought another one.